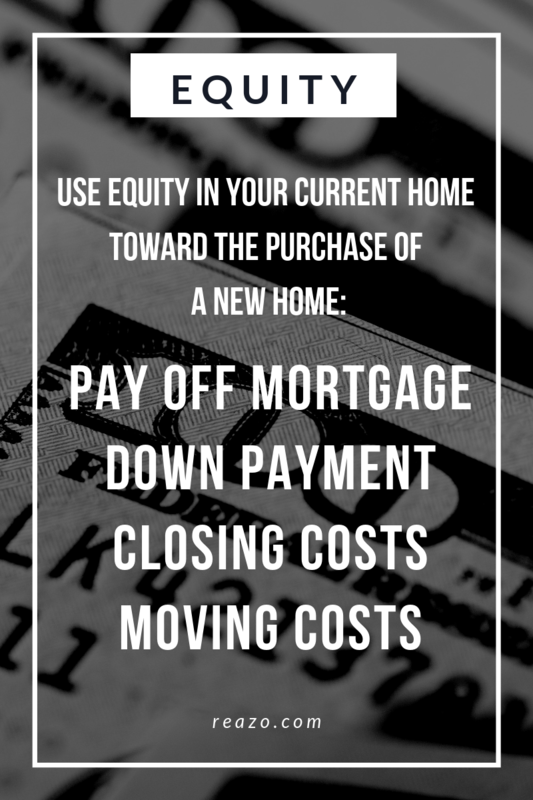 When you're preparing to sell your home, knowing how much equity you have can make your next home purchase that much easier. Imagine being able to use equity to pay off your current mortgage and have enough left over to make a decent down payment. Let's look at how you can build home equity and use it to buy a new home. Having positive equity (aka: selling your house for more than you owe) can result in a tidy profit. On the other hand, if you sell it for less than what you owe, you're in a negative equity position. As the name implies, this is not in your favor. With negative equity, you would be faced with a short sale situation should you decide to sell. In this case, it would be worth it to hold off selling until you're in a better financial position. Let's assume you have positive equity in your home. As you aim to use equity towards a new home, it's important to understand equity isn't all profit. For example, if your home is appraised for $450,000 and you owe $230,000 (remaining mortgage), you would have $220,000 worth of equity in your home. Wait... there's more calculating to be done to determine your true profit. Your "profit" also is dependent on what you originally paid for the home and the size of your down payment (ex. $45,000). If you originally paid $400,000 for your home then sold it for $450,000, your profit is $50,000. In other words, you might walk away with $220,000 but your profit is only $50,000. The additional $170,000 from the sale of your home is simply a combination of what you originally paid for a down payment ($45,000) plus $125,000 in mortgage payments. In addition, some of the profit will go towards the agent's commission, closing costs and miscellaneous fees. Suddenly $220,000 in equity might only amount to a profit of $30,000, if additional fees total $20,000. You have a few options for determining the current value of your home including looking online, a CMA, or getting a professional appraisal. Although it might be tempting to go online to figure out the value of your home, online value estimates aren't always accurate. Best to utilize one of the following options. When looking at home values online, you need to be aware that sold prices are not reflected accurately. Most websites use algorithms or calculators to estimate values and sold prices. Accurate sold prices can only be obtained from your local Multiple Listing Service (MLS), which can only be accessed by a licensed real estate agent/Realtor®/broker. Once you know the value of your home, subtract your current mortgage balance from your home's value to get a better idea of the amount of equity you have in your home. If the current value of your home isn't as high as you had hoped, which would result in minimal profit, you might hold off until you built up more equity. For example, make more improvements to your home, pay down the mortgage a considerable amount, and/or wait until home values have increased significantly. Want to stretch your home equity further? If you're at a point in your life where you can downsize, a smaller home will allow you to get more from your equity. There are many ways to build equity in your home including paying more on your monthly mortgage a few times a year and renovating the inside of your home, among other suggestions provided in this article. To figure out how much equity you have in your home, start by learning how much your home is worth. 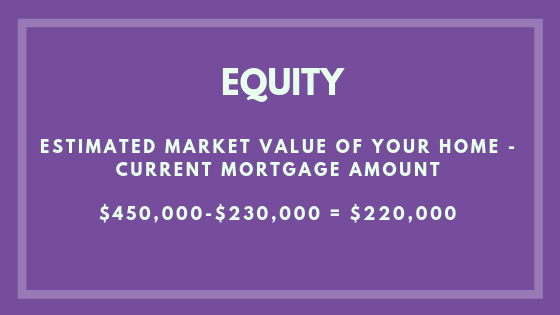 With enough equity, you can pay off your current mortgage and put the rest toward the purchase of your next home.